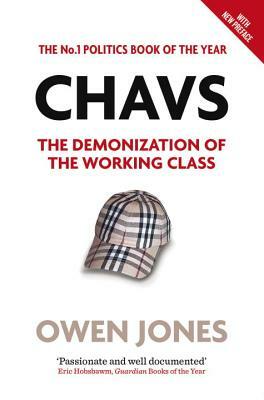 In this acclaimed investigation, Owen Jones explores how the working class has gone from “salt of the earth” to “scum of the earth.” Exposing the ignorance and prejudice at the heart of the chav caricature, he portrays a far more complex reality. The chav stereotype, he argues, is used by governments as a convenient figleaf to avoid genuine engagement with social and economic problems and to justify widening inequality. Based on a wealth of original research, Chavs is a damning indictment of the media and political establishment and an illuminating, disturbing portrait of inequality and class hatred in modern Britain. This updated edition includes a new chapter exploring the causes and consequences of the UK riots in the summer of 2011. Owen Jones is a writer, commentator and activist. He writes frequently for the Guardian, Independent and New Statesman, and has worked in Parliament as a trade union lobbyist and parliamentary researcher, helping Labour plan backbench rebellions on issues ranging from civil liberties to workers’ rights. He lives in London.